It is a blooming knitting pony clip that colors with chocolate every day outing. Sweets collection that you want to eat with fluffy. Pistachio wants to pinch it. 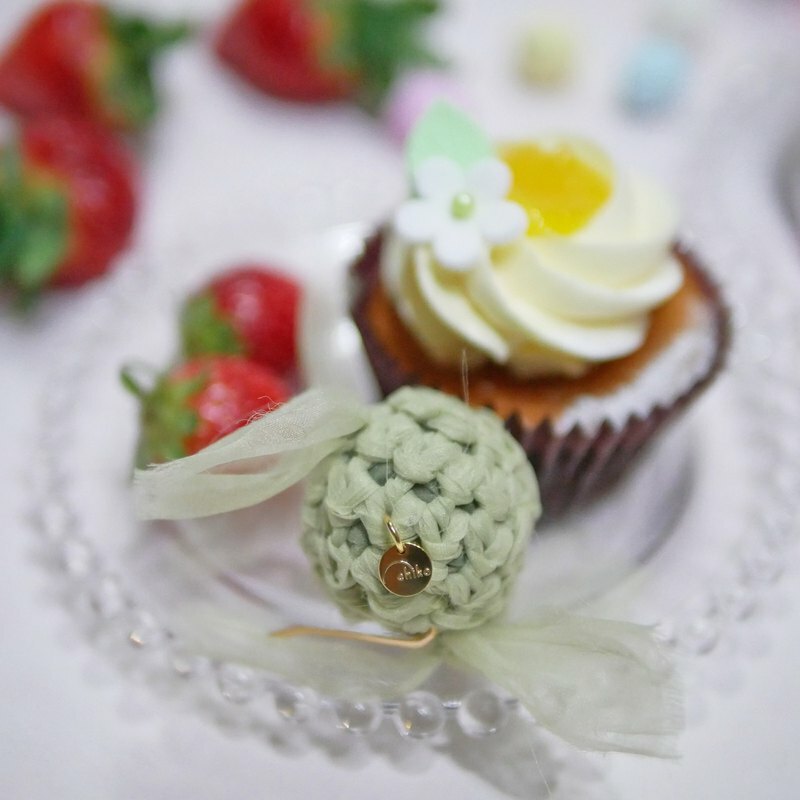 Pistachio green that saved a little eyelashes is also excellent for familiarity with both skin and clothes ♡ 【Color】 Pale Green ◎ Organza's blooming braid I split the fabric of the organza and knit a soft flower containing plenty of air. Hari is born on a soft fabric by splitting, firmly knitting the fabric with Hitoharittohari firmly, it creates a fluffy volume. ◎ hair arrangement knitting pony clip hair arrangement I am knitting a gold stick on the ball. Just put it vertically into the rubber of one of usual one! I firmly hold it. Because the rubber surroundings are clean, it is sure to be useful for everyday use. · Concluding one · At the base of the bunk · Before the braid Because it is a new item, I will follow how to use it with an instant! I introduce arrange also on Tuesday at 12 o'clock ♡ ◎ I will give you the "just right" for usual outing Organdy where light escapes is familiar to every day's attire and where to go out. Due to the combination of colors by light, it shows various facial expressions. ◎ blooming knitted chouch looks delicate and very sturdy Even if it is trained with a train because it is knitted tightly, even if it is put in a pouch it does not rise or unravel! Even if it gets wet with unfortunate weather, fluffy is intact. Please do not hesitate to go out! ◎ wrapping Organza bag wrapping with paid wrapping. Regular delivery is wrapped in original wrapping paper and delivered. * We will accept orders made with pleasure, such as color and size. Please do not hesitate to consult us. * We have created the Organdy's cloth by splitting it, so there is Kebadachi. Kebabeba may fall, but as you get used to it, it becomes difficult for the fiber to fit and fall, so please enjoy enjoying the texture by all means.